Churchill Downs has upheld the tradition of thoroughbred horse racing since it officially opened its gates in Louisville in 1875. The storied racetrack is home to the Kentucky Derby, the longest continually running sporting event in America. Adjacent to the racetrack is the Kentucky Derby Museum, which offers tours, exhibits and event space. Within Walking Distance: Located in downtown, Fourth Street Live! is a $70 million complex of restaurants, coffee chops, bars and entertainment venues. Pick up Louisville City FC gear at the LouCity Team Store, enjoy hearty barbeque dishes at Guy Fieri’s Smokehouse or put on your dancing boots at PBR Louisville, a cowboy-themed club. Louisville International Airport, 10 minutes from downtown (less than 6 miles), 6 miles from KICC. Transfer cost to downtown by taxi, about $20. Uber from SDF to downtown, starts at $15.75; Lyft from SDF to downtown, starts at $15. Following a recommendation from a Louisville Regional Airport Authority working group, the airport will be renamed Louisville Muhammad Ali International Airport in honor of the late boxer, who called Louisville his native city. Despite the name change, which still requires approval from the Federal Aviation Administration, the airport’s three-letter abbreviation—SDF—will not change. After being closed for two years, the Kentucky International Convention Center reopened in August 2018 following a $207 million renovation and expansion. The extensively updated convention center increased its exhibit space by more than one-third to more than 200,000 square feet as well as increased its ballroom space by 10,000 square feet to 40,000 square feet. 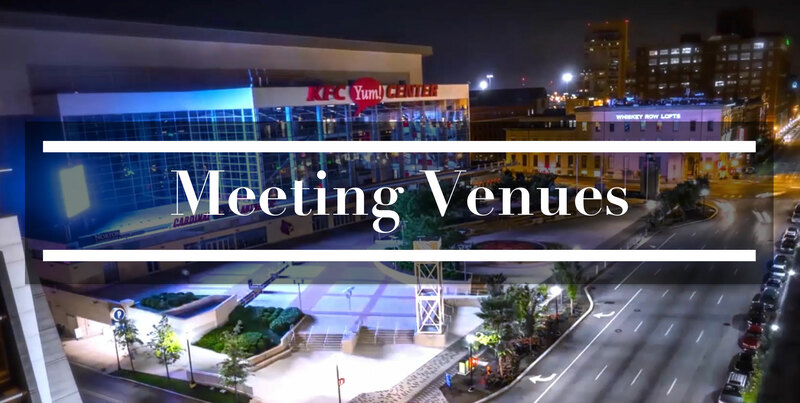 Other features include 52 meeting rooms, a 175-seat conference theater and Oak & Brew, a coffee-by-day, bourbon-by-night experience. Louisville City FC, the city’s USL soccer team, has begun construction of a new soccer-specific stadium in the city’s Butchertown area. The $65 million project is expected to be complete in spring 2020. When finished, the stadium is expected to seat 11,300 for soccer. The stadium us part of a larger $200 million development over 40 acres that includes residential and retail space. The Louisville Urban League has proposed a new $35 million indoor track and field complex in west Louisville. The city of Louisville has committed $10 million toward the project and fundraising efforts are underway to secure more financing for the complex, which would feature 4,000 seats. Officials estimate the complex could attract more than 30,000 visitors a year and generate $47 million in economic impact along with nearly 15,000 additional hotel room nights. The renovated and reimagined Kentucky International Convention Center recently completed a $207 million upgrade in the city’s downtown. The new center has 200,125 contiguous square feet of exhibit space, a 40,000-sqaure-foot ballroom with color-changing LED walls, a 175-seat state-of-the-art tiered conference theater and 52 meeting rooms. The 529-acre state park on the outskirts of the city has been host to several sporting events over the years. The park includes Derby City BMX, whose track has been renovated to meet Olympic standards in the sport. The park has also hosted NCAA cross-country championships and features meeting space with panoramic views of the park. The Kentucky Exposition Center, located near the city’s airport, features 1.3 million square feet of space, including 680,700 square feet of Class A space on the ground level. The site also features 54 meeting rooms ranging in size from 590 to 25,000 square feet. The site includes two arenas: Freedom HallI, with a maximum seating capacity of 19,169; and Broadbent Arena, with a maximum seating capacity of 6,600. Located near the city’s airport, the University of Louisville offers a wide range of sports venues that support the Division I program. Cardinal Stadium, the school’s football stadium, recently completed a $63 million renovation that increased the seating capacity to 60,000. Other venues include Cardinal Arena, a rare volleyball-only venue that underwent renovations in 2017; Bass-Rudd Tennis Center with six indoor courts and eight lighted outdoor courts with electronic scoreboards; and Cardinal Park, a complex that includes a track and soccer stadium with seating for 2,200, a softball stadium and field hockey venue. Downtown’s KFC Yum! Center is the permanent home to University of Louisville men’s and women’s basketball. The AEG-managed arena opened in 2010 and features a seating capacity of 22,090 and can host a wide range of sports events. Few sports venues in the world can boast the fact that they’ve been hosting since 1875. But Churchill Downs is unlike most sports venues in the world. 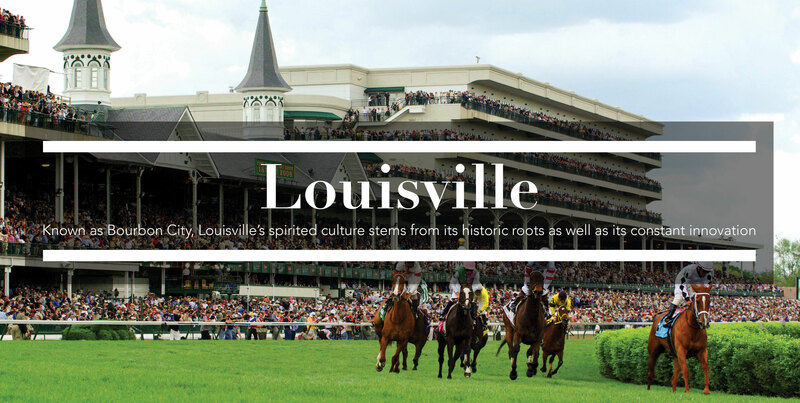 Home to the Kentucky Derby, which attracts more than 160,000 on race day, the venue hosts sports events but has areas that can host meetings and groups as well that can include tours of the iconic complex. 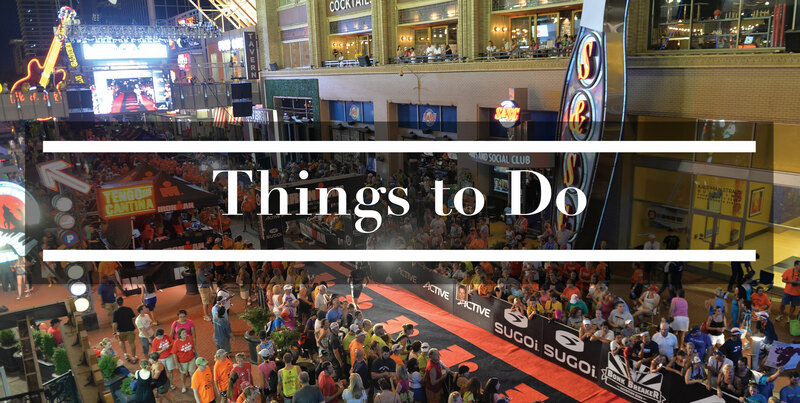 Those areas include the Kentucky Derby Museum, which can host events for up to 2,000 people. Louisville Slugger Field, named for the popular Louisville Slugger brand of baseball bats, is home to the city’s Triple-A Louisville Bats, an affiliate of the Cincinnati Reds. The stadium has a retro-classic design and was opened in 2000. The stadium has a seating capacity of 13,131. The Division II Bellarmine University in Louisville has hosted sporting events including the 2010 NCAA Division II Fall Festival. Owsley B. Frazier Stadium is one of the campus’ main venues. With a seating capacity of 2,000, the venue is home to Bellarmine’s men and women’s soccer programs, track and field, women’s field hockey and men’s lacrosse. For a premium golf experience, there are few golf clubs better than Valhalla. The legendary venue about 20 miles east of Louisville, designed by Jack Nicklaus, was built with championships in mind. Since opening its doors in 1986, it has done just that. The PGA Championship was contested there in 1996, 2000 and 2014, while the Ryder Cup was staged in 2008, providing international attention to the venue. With its opening timed to coincide with the renovated downtown convention center, the Omni Louisville Hotel is the city’s newest hotel, with 612 rooms located in the heart of downtown. Among other unique features is a speakeasy-inspired underground bar that includes bowling lanes. The hotel also aimed to include Louisville-inspired features, including floor lamps made out of baseball bats. Opened in March 2018, the Homewood Suites by Hilton has 133 rooms, a short walk from many of the city’s museums. The eight-story hotel includes a large lounge with flat-screen televisions, a pool table and business center, and a heated outdoor terrace that is connected to the lobby area with fire pits and lounge seating. The $43 million, 156-room AC Hotel by Marriott celebrated its grand opening in May 2018 and is a European-inspired property in the city’s downtown NuLu district. The hotel’s features include a lounge, breakfast area and more than 2,600 square feet of meeting space. In 2018, Churchill Downs Incorporated opened Derby City Gaming, a $65 million gaming venue that pays homage to the historic racetrack. The 85,000-square-foot venue boasts 900 state-of-the-art historical racing machines designed in partnership with Ainsworth Game Technology. A visit to Louisville would not be complete without a taste of the city’s signature drink. The Urban Bourbon Experience currently offers 10 spirits-related attractions, including tours of the area’s distilleries. The Evan Williams Bourbon Experience features an artisanal distiller, guided tours and educational bourbon tastings. The Muhamad Ali Center is a cultural and educational facility inspired by the life and legacy of the late boxer. The center features three levels of interactive exhibits, galleries and artifacts. Event space includes the 6,700-square-foot View Pointe Hall that can accommodate up to 500 for a standing reception, a 1,400-square-foot auditorium with stadium seating for 158; and the 1,600-square-foot LeRoy Neiman Gallery. It’s hard to miss the six-story bat propped up against the side of the Louisville Slugger Museum & Factory, where Louisville Slugger bats were first crafted in 1884. Participants can take a tour through the factory and receive a free miniature replica of the bat they just witnessed in the making. Located adjacent to Churchill Downs, the Kentucky Derby Museums welcomes 230,000 visitors annually with interactive exhibits, workshops, lectures and special events. The museum recently added a new 16,000-square-foot wing dedicated to trainer D. Wayne Lukas and jockey Bill Shoemaker. Extend your stay in Louisville and take the family to the Louisville Zoo, which currently exhibits more than 1,200 animals on 134 acres. Young minds might also appreciate the Kentucky Science Center, where they can participate in various educational programming and try hands-on experiments. For unique gifts, visit the 200-year-old Stoneware, one of the oldest stoneware manufacturers in the United states, for a piece of pottery to take home.